The Discovery of the East Pole - 1485465281s Webseite! and vol. IV Complete Edition. 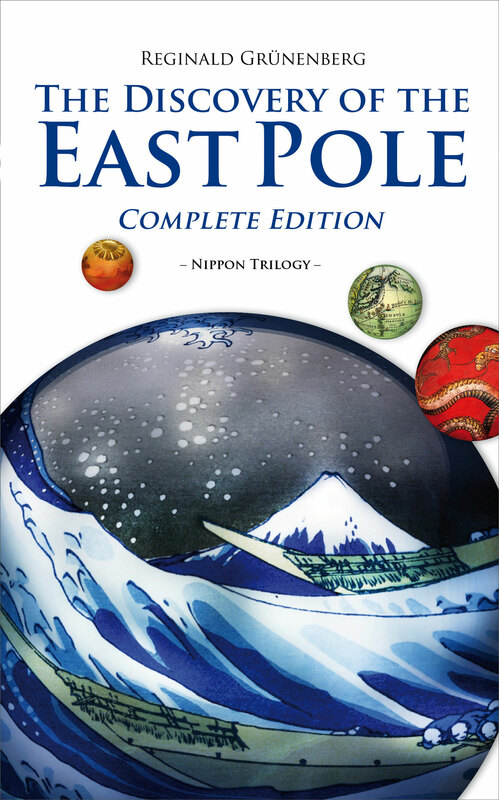 Content The Discovery of the East Pole is the first ‘true historical fiction novel’ and recounts the adventures of the German physician Philipp Franz von Siebold (*1796, †1866) in the ancient Empire of Japan. His scientific – instead of the commercial – approach to the country that was secluded for two centuries had a huge and to date unknown impact on the 'Opening of Japan' and on the birth of the modern Japanese nation. Publication Publication of four volumes in March 2014 at 12,90€ for the three single volumes (310, 330 and 350 pages in 6x9 inch format) and 22,90€ for the complete edition (740 pages). Interior Each volume has a glossary of Japanese expressions and medical or otherwise scientific terms (altogether ≈300), a register of historical figures (≈100), a chronology and tables of historical units of measure­ments and currencies. The Complete Edition includes the author’s Afterword explaining the new literary genre ‘true historical fiction’. Following a quotation from Daniel Defoe’s book The Political History of the Devil from 1726, in which the author describes the machinations of the Devil in ancient Japan, the Prologue of the novel opens with the eruption of the volcano Unzen and the subsequent tsunami in 1792 on Kyūshū, the southernmost island of Japan’s mainland. This cataclysm stands for the new arrival of Satan who meets up with the Japanese storm god Susanoo and Buddha. He warns them of the imminent invasion of the Desert God from the west and promises to help them. In return they ought to give him some leeway in Nippon to forge the ultimate weapon and to prepare the final battle. They agree to the pact. Twenty years later, the young and ambitious physician Philipp Franz von Siebold, enticed by the mysterious Basque nobleman Don Mastema, decides to become the “Humboldt of the Far East”. He leaves his Bavarian hometown Wuerzburg, enters the service of the Dutch Ministry of Colonies and travels to the Dutch East Indies. There he is immediately dispatched for the Dutch mission in Japan. After the perilous arrival in Nagasaki – his false Dutch identity was almost uncovered – he settles on the little prison-island Dejima that is exclusively reserved to the Dutch traders, the only foreigners officially tolerated in Japan since the seclusion of the country two centuries ago. A successful eye-surgery, the method of which being unknown to the Japanese, is the beginning of Siebold’s fabulous career as a surgeon, physician and healer. Moreover, he starts to teach all major western sciences to his Japanese students who are scientists themselves, coming from far to listen to “Shiboruto-sensei”. He founds a small university and is allowed to teach on the Japanese mainland, a privilege unheard of. His love affair with the young and beautiful Otaki leads to their marriage and their daughter Ine who is to become the first female physician in Japan. On the climax of his career, Siebold joins the Dutch mission for the traditional court journey all across the country to Edo (today’s Tokyo). There he befriends the court astronomer Takahashi who is able to provide Siebold with the scientific objects he is most passionately longing for since the beginning of his journey, namely detailed maps of Japan. The insular geography of Japan having been for centuries the best natural protection against the western colonial powers, the Japanese shogunate had a vital interest in keeping the shorelines of its Empire as a state secret. Yet, Siebold’s deal with Takahashi is uncovered, he is put on trial and in December 1829 finally banned from Japan. Before his departure he manages under miraculous circumstances to make copies of the original maps and to smuggle them aboard. The separation from his beloved wife and daughter is dramatic. Back in Europe he is granted an unlimited paid leave by the Dutch king as a reward for the successful large-scale cultivation of the Japanese tea plants that Siebold had sent formerly to the Dutch East Indies. In the following twenty years Siebold exploits his Japanese collections, publishes the results in numerous books and articles, imports, cultivates and sells hundreds of new species of Japanese plants – that adorn Europe’s gardens to date – and becomes a widely venerated natural scientist and discoverer like his idol Alexander von Humboldt. Then, in 1852, he is informed that an American squadron shall be dispatched and force the Japanese authorities under the threat of the latest naval weaponry, the terrible Paixhans guns, to sign a treaty of commerce. 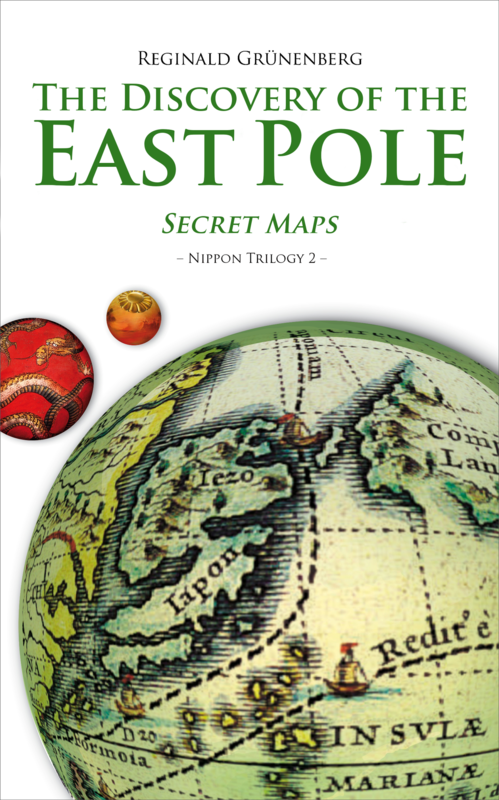 U.S.-commodore Perry succeeds in purchasing Siebolds maps of Japan from the Dutch ministry of colonies. Siebold, painfully aware of the fact that he had thus provided the most important instrument for an ‘invasion of barbarians’ in Japan, rushes to Russia and convinces the Tsar to dispatch a second expedition for an explicitly peaceful opening of Japan. Two years later, Perry gets indeed a treaty, but without any com­mercial clause. The Russian vice-admiral Putjatin is far more successful and could claim to have ‘opened’ Japan, but the Russian Empire is shaken by the Crimean War and too unstable to sustain its friendly policy towards Japan. Yet, as a recognition of Siebold’s effort in this matter, the shogunate lifts the ban on him and he is even invited to come back to Japan. In June 1861 he arrives in Edo and becomes an advisor to the newly installed ministry of foreign affairs and thus to the shogun. As such he is able to prevent the outbreak of war and the invasion of British forces after the attempt of a group of xenophobic Japanese swordsmen to assassinate the British ambassa­dor Rutherford Alcock. But the relations between the Japanese government and the foreign powers deteriorate and their diplomats resent Siebold’s moderate action as well as his status of a private person without any official mandate. Unwillingly the shogun dis­misses Siebold who has to leave the country immediately. He returns to Europe frustrated, even though he is again hurrahed as the great explorer that he was. He dies in 1866 with Satan sitting at his bedside, explaining what a useful assistant to his ends Siebold was. Meanwhile Japan is further destabilized by inner conflicts and external pressures. In 1868 the shogunate is overthrown during the Meiji restoration by which the imperial rule is reinstalled and feudalism abolished. Superficially displaying a pro­gressive and pro-western agenda, the reigns of the increasingly deified emperors Meiji, Taisho and Showa (Hirohito) are mainly a long prepared revenge of the original viola­tion of Japans sovereignty by the arrival of America’s ‘black ships’ in 1854. This event had become the national trauma. The final chapter Revelation shows in a kaleidoscope of short stories, letters, articles and Japanese propaganda leaflets how Satan’s plan is pro­gressively translated into world politics as a road to war and to the atomic apocalypse. But the plan ultimately fails because Satan is a bad physicist. 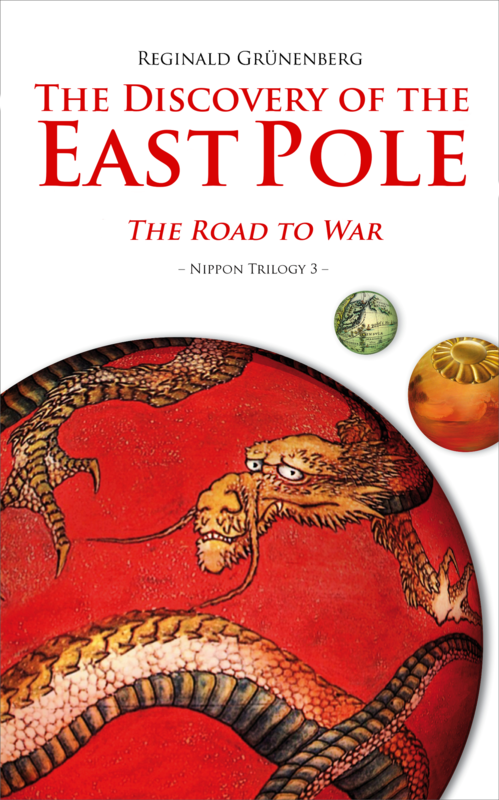 This historical novel proposes – notwithstanding its metaphysical framework and based on the latest results of scientific research – to re-visit and re-evaluate some important events in the history of Japan, the United States, Russia, Great Britain, the Netherlands and Germany. For example, the United States have never ‘opened’ Japan as it has been maintained since Commodore Perry’s report on the American expedition to Japan in 1853/54. This honour is very clearly due to Russia which was the first country to sign a treaty of amity and commerce with Japan. And while the American squadron threatened the Japanese authorities with powerful canons to sign a simple shipwreck convention, the Russian vice-admiral Putjatin reached his diplomatic goal in December 1854 by saving the lives of many Japanese in the bay of Shimoda after a terrible earthquake and the subsequent tsunami. This story, generally unknown to Americans and Japanese, is told for the first time in the chapter The Miracle of Shimoda. On his English blog the author has elaborated on The Myth of America’s Opening of Japan and equally on the Tale of a Lost Japonian Charter which is important to the history of the British Empire and its missed chance to open Japan peacefully and even much earlier. The protagonist of the novel, Siebold, was very well aware of these meanwhile forgotten facts and events. Altogether, the religious and metaphysical themes of the narration taken into account, the fictional part in this novel is less than one-tenth. 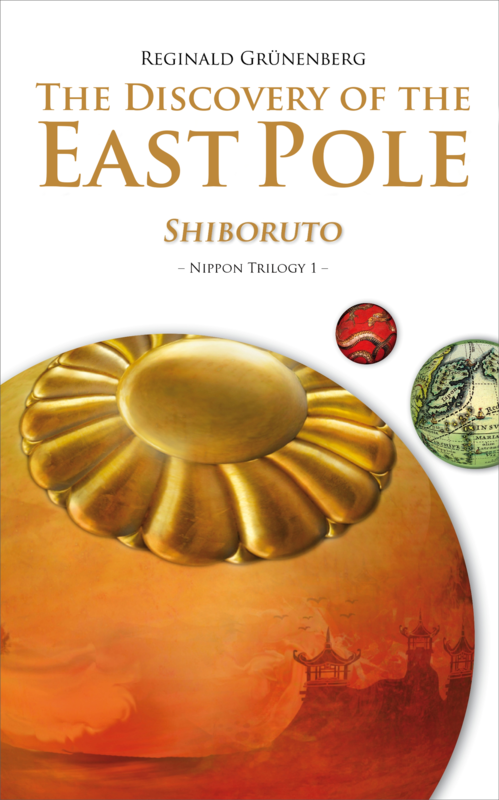 Following Truman Capote’s ‘true fiction’ as foundation of his novel In Cold Blood, the Discovery of the East Pole is the first novel in the newly founded literary genre of ‘true historical fiction’. “Congratulations on the successful discovery of the East Pole! This true historical fiction novel is indeed the inception of a new literary genre that follows Goethe’s device ‘Only precision is truly entertaining’. Your novel is much more than the result of stunning multi-perspective research and erudition. The Nippon trilogy is not less than the long awaited ‘literary opening’ of Japan.” Manfred Osten, writer, literary historian, former German diplomat to Tokyo and General Secretary of the Alexander-von-Humboldt Foundation. Reginald Grünenberg, born 1963 in Lübeck/Germany, has studied in Paris, Munich and Berlin. He holds a PhD in political science, history and philosophy. He was a business consultant and entrepreneur frequently travelling to Japan. In 2008 he was elected by the European Commission to take part in the Executive Training Programme in Tokyo and became a certified expert on Japan. He has published three non-fiction books and writes frequently for German newspapers and magazines.